These pieces of alternating-design acoustical foam are appropriate for rooms of any size that lack corners. These have similar properties to the corner bass absorbers in terms of soundproofing, but are placed vertically in rooms to help deaden bass and other low frequencies. Additionally, these can be cut in half and used as smaller corner bass absorbers. 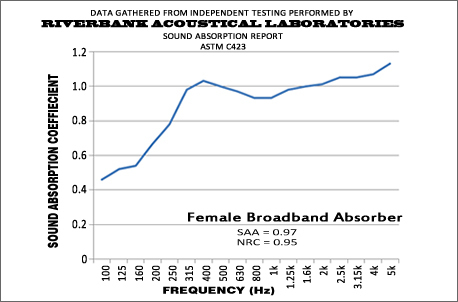 Standard Size: 12" x 6" x 48"
To view the full PDF report of our acoustical test results, see the resources section (below).